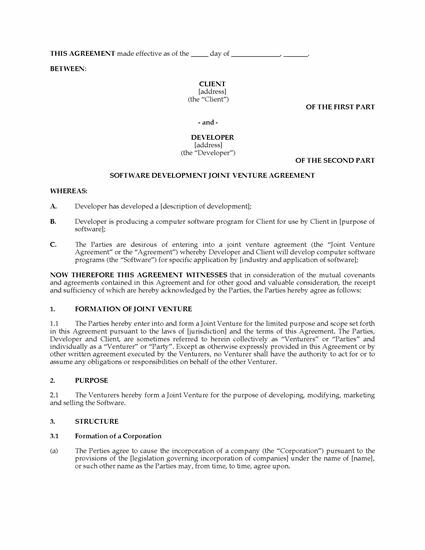 Set up a joint venture to create new software apps with this downloadable Software Development Joint Venture Agreement. 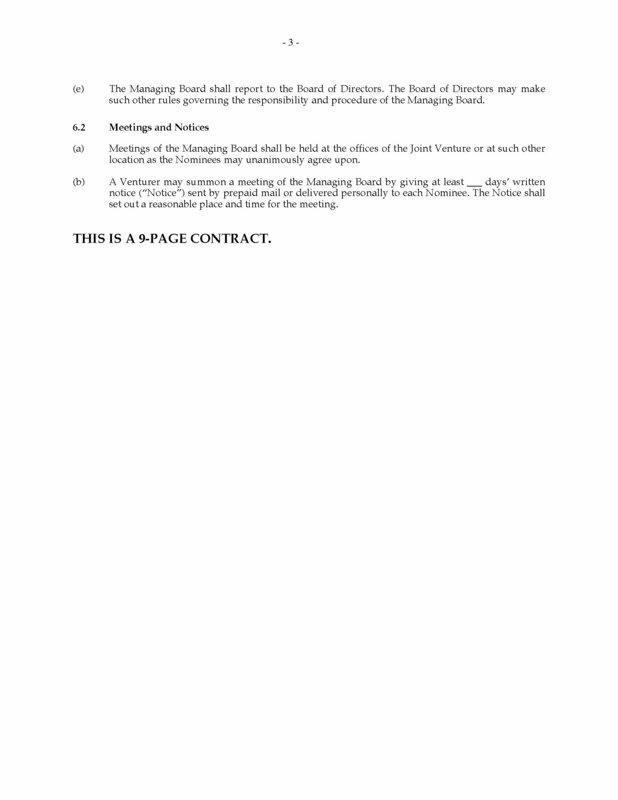 The parties will form a corporation which will issue proportionate numbers of shares to the co-venturers. 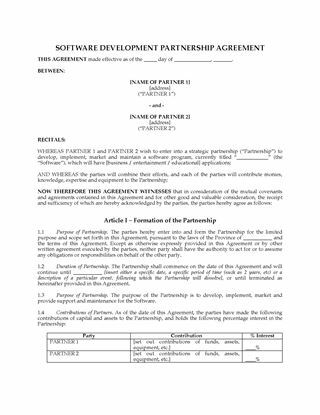 The relationship will be a joint venture, not a partnership. 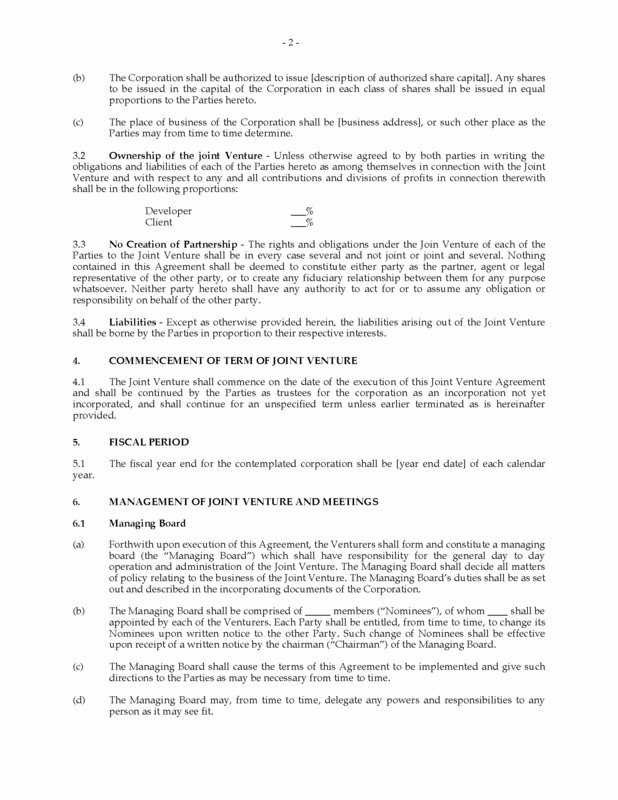 Provisions governing management of the business and affairs of the joint venture. 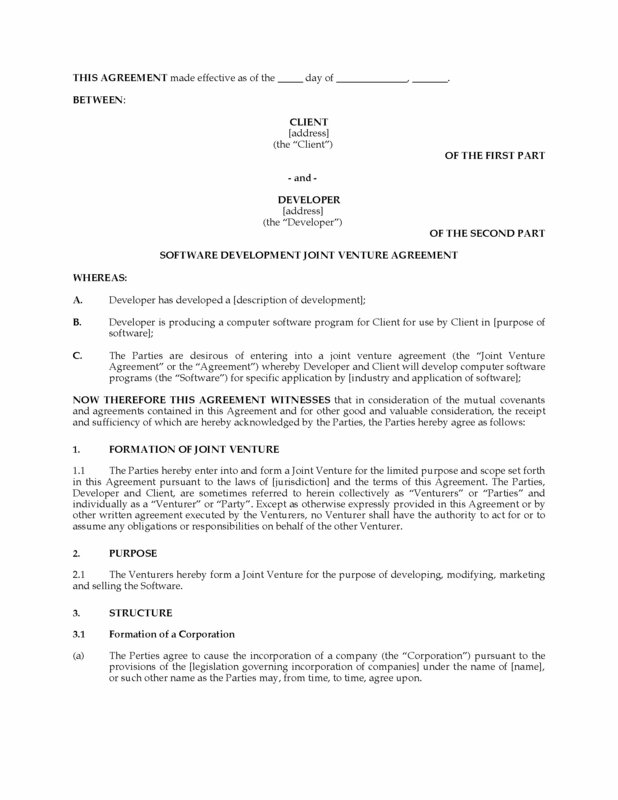 Provisions for buying out the interest of a venturer in the event of default. This is a generic legal document which does not contain direct references to the laws or regulations of any specific country. 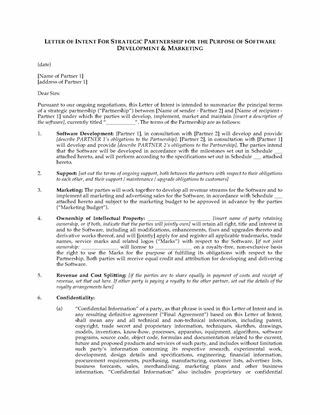 This Software Development Joint Venture Agreement template can be easily customized to fit your particular circumstances.